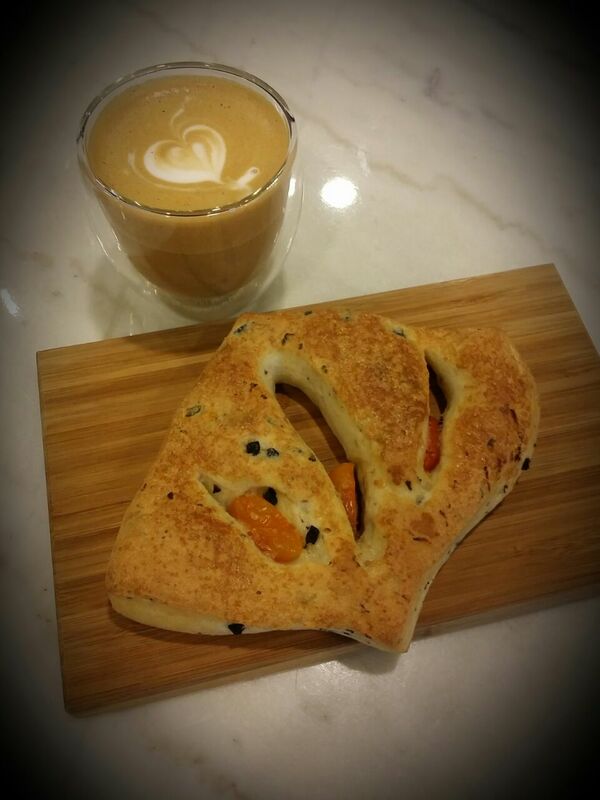 Situated just a few blocks away from Eunos MRT station and right in front of a bus stop, this relatively new café was quite easy to locate. 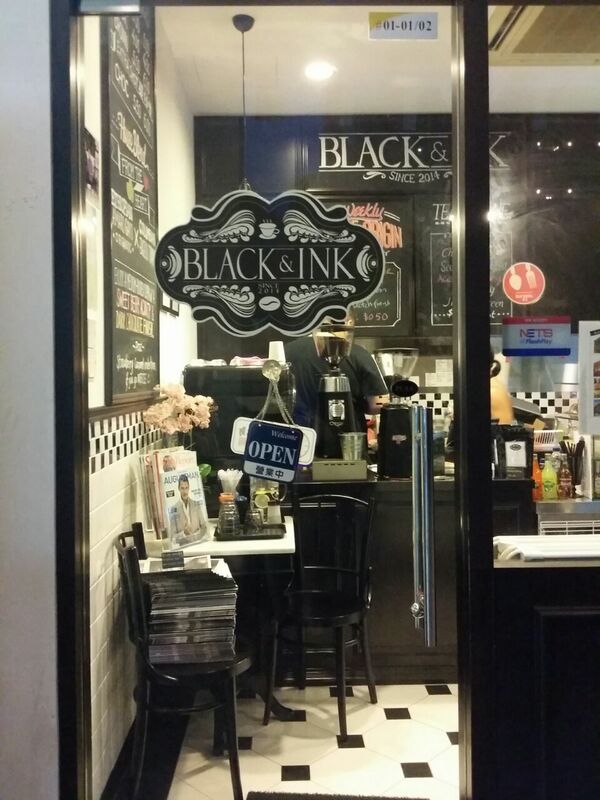 I was doing some research about Black & Ink and found out that it is actually opened by a fellow food blogger Roy. 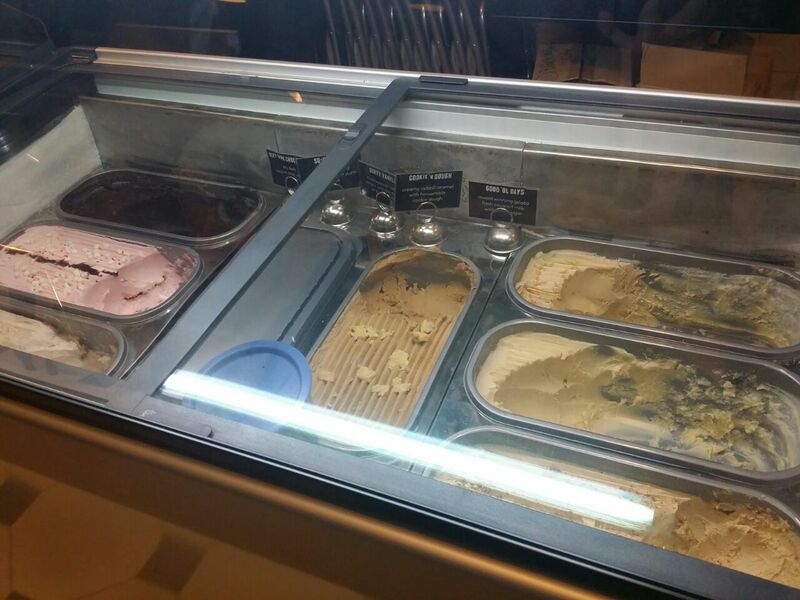 The café is also heading towards being a social enterprise to help women and children in need. 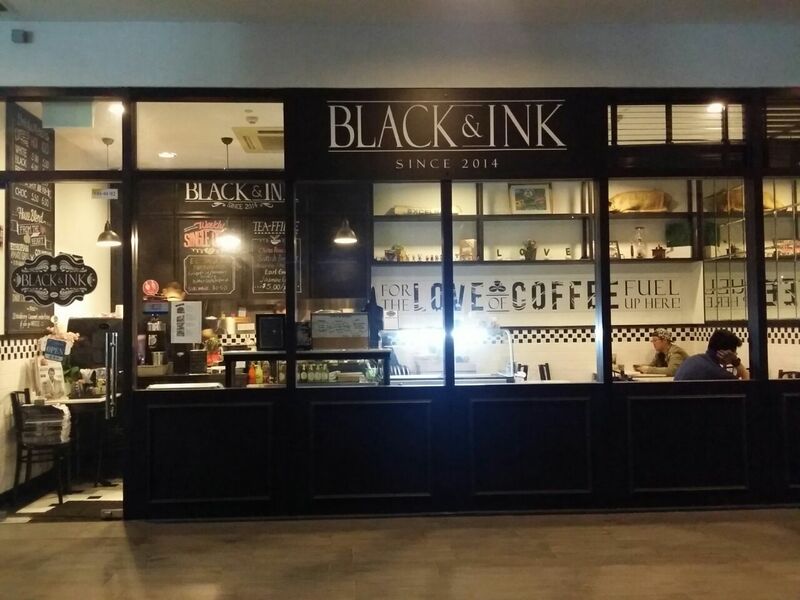 Black & Ink uses black and white tiles and marble table tops to furnish the place which kind of radiate an old school kopitiam aura but somehow still maintain a classy modern feel to it. 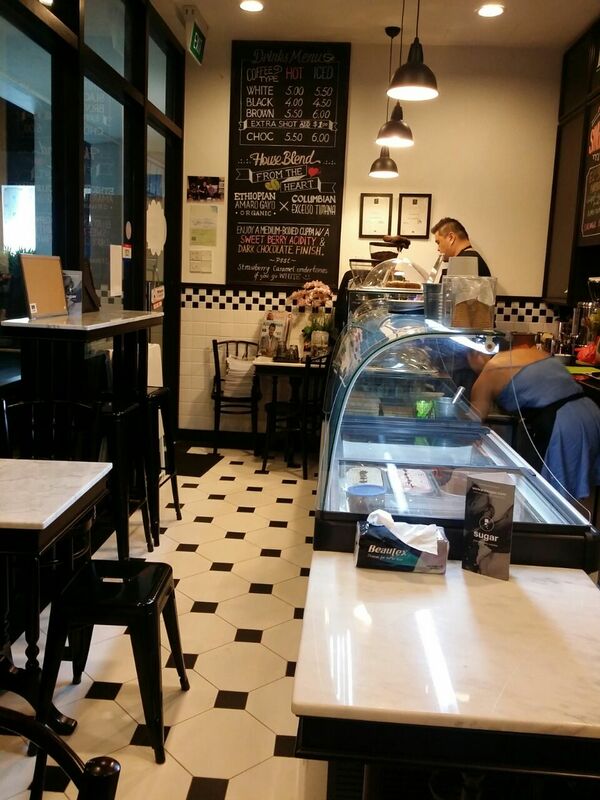 It is a pretty small café which seats about 20 but it doesn’t make one feel claustrophobic as the layout was nicely done up. 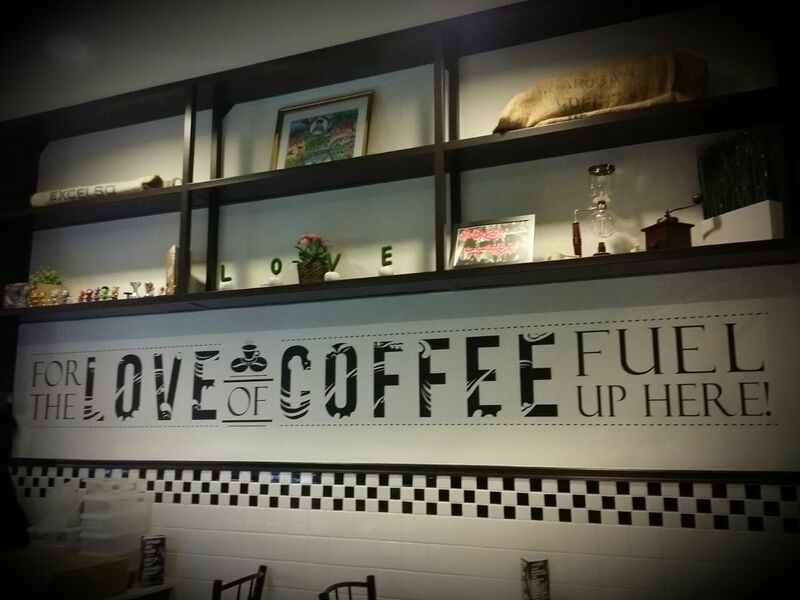 The moment I stepped into the café, the first thing that got to me was the aroma of their coffee. 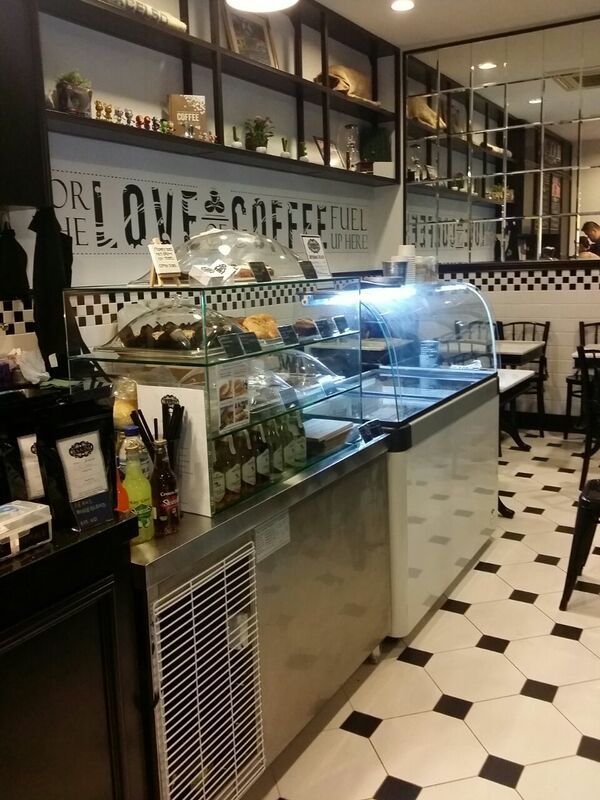 Their coffees are served in a unique double wall glass cup which is pretty rare in cafes due to the high cost. Another noteworthy point when ordering coffee at Black & Ink is that you will be offered a choice of beans from two origins. 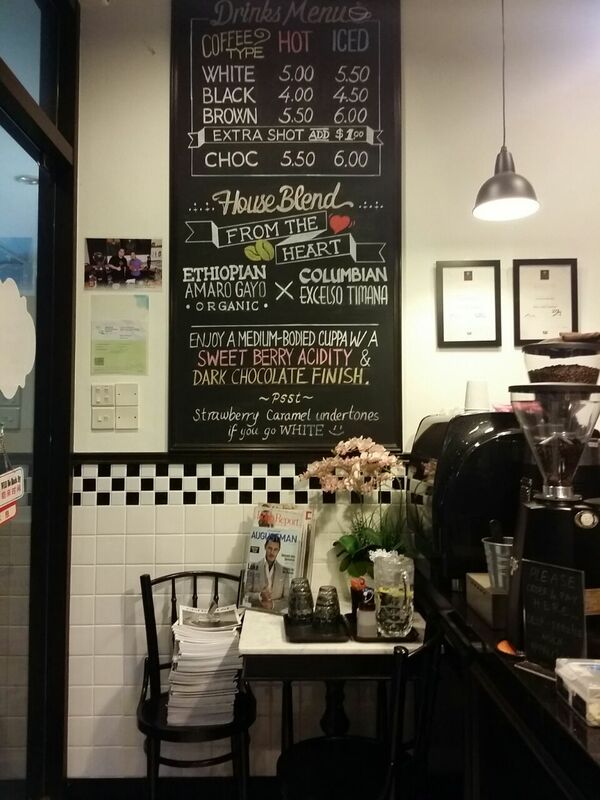 That day when I visited, El Salvador Pacamara and Doi Chang beans were available. I was told that the origins of the beans will be changed weekly so that customers can get to sample different kinds of coffee. I had the white hot cappuccino ($5) and I loved it. It was smooth and the temperature was just right. 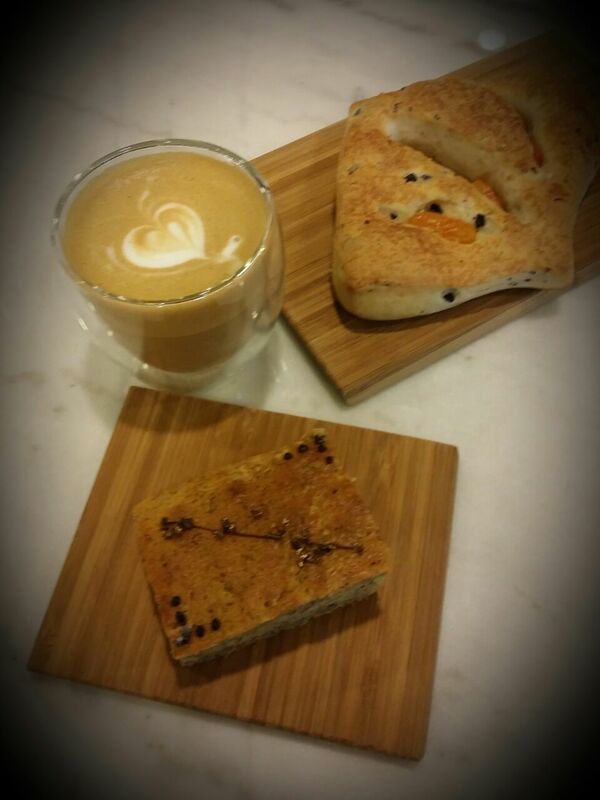 I ordered an Earl Grey lavender cake ($5) and a focaccia ($2.50). 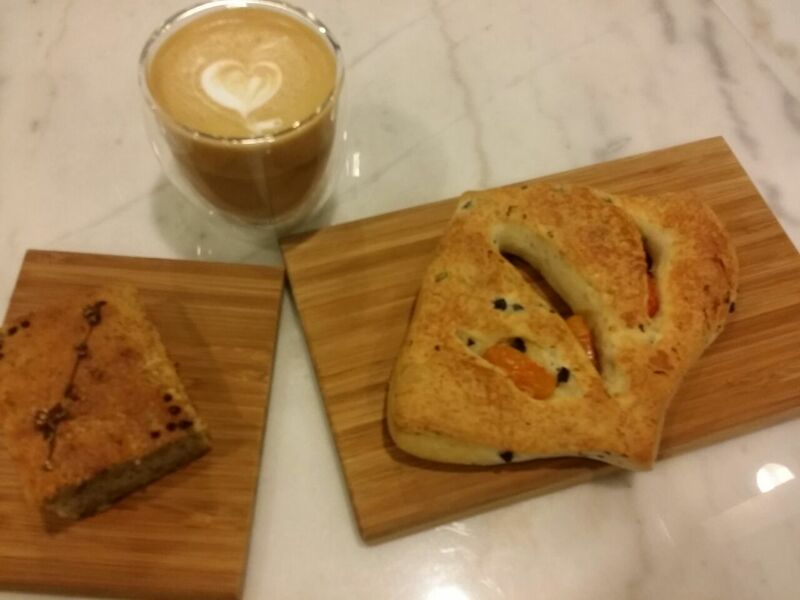 Both the cake and focaccia were served warm which was rather nice on a cool evening. I loved how the focaccia had a strong fragrance of herb and the skin was thin and crisp. As for the Earl Grey lavender cake, it had a sweet flowery taste. After one bite of it, you can't help taking another mouthful. The cake actually left a nice mildly bitter aftertaste and it was rather unique. 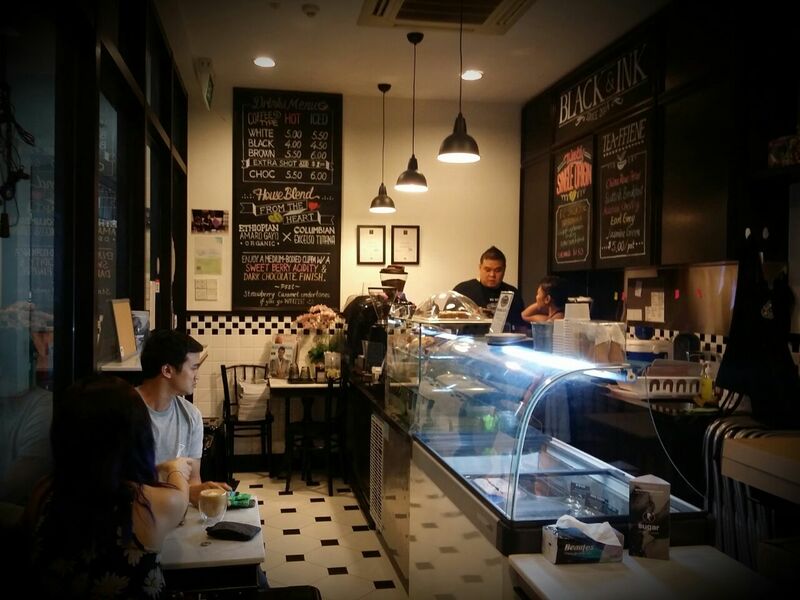 I will recommend that you visit Black & Ink to try it for yourself. Black & Ink does not impose additional service charges nor taxes. 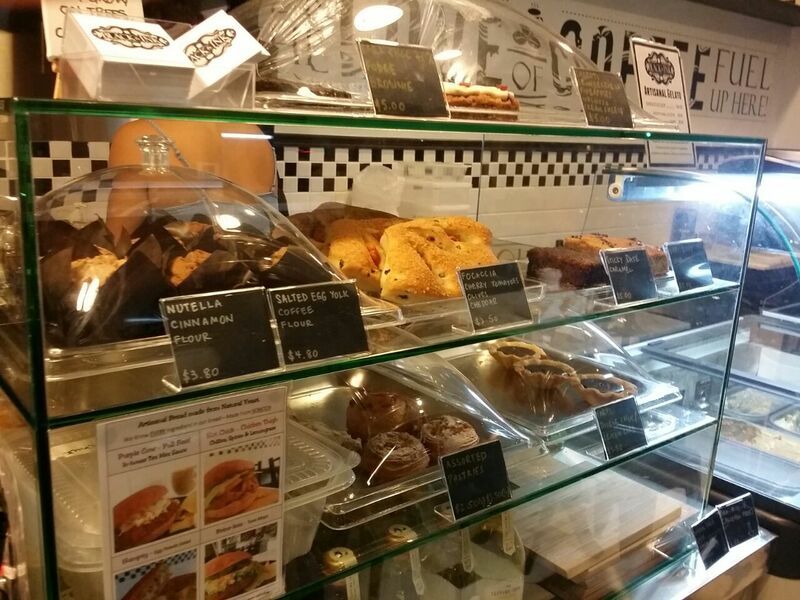 I will definitely return for their lovely coffee and cakes.